These chairs are currently not off the shelf items and are only available by special order. Delivery takes approx 6 weeks after placing your order and paying a deposit. Available in Burgundy, Black or Beige. Kneading combines rolling massage at chair back. Vibration massage at chair seat cushion. Chair arms can be up / down. Handheld remote controller with various functions. Slides and swivel with manual system. Recline system operated by air. Available in White, Beige or Grey. Available in 4 or 6 whirlpool jets. Cooper whirlpool jets - chromed. 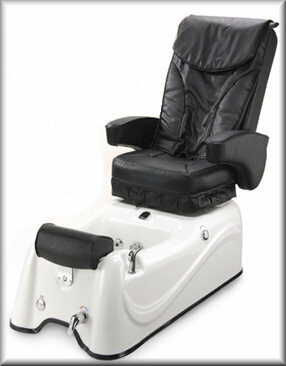 The spa base is formed by quality acrylic sheet reinforced with fiberglass and gel resin in the tub back.